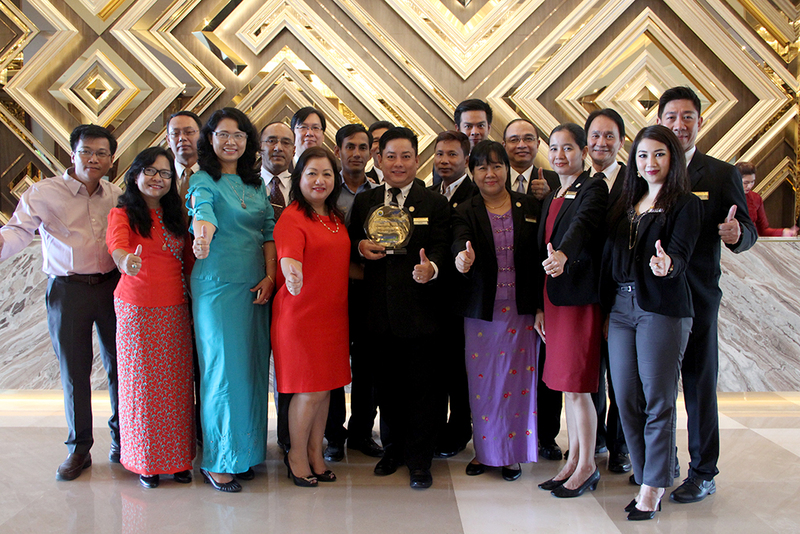 Chatrium Hotel Royal Lake Yangon wins the Best Performance FDI Hotel Award, 2015. 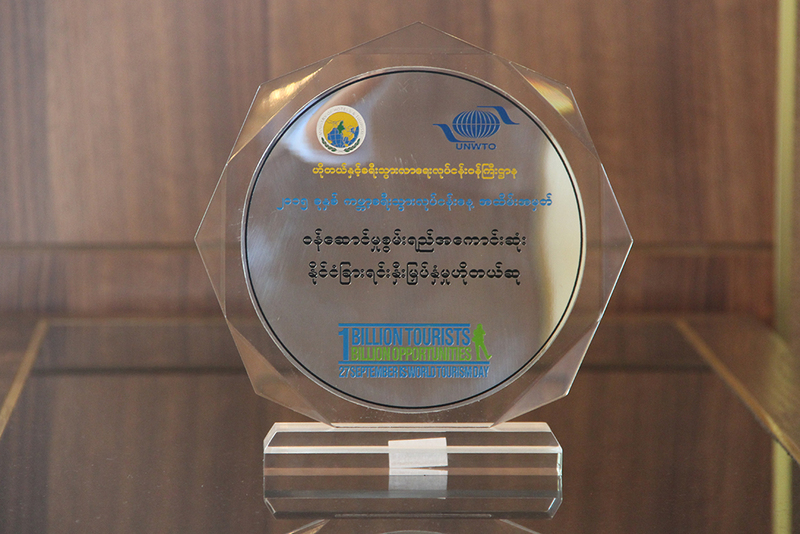 The honor was bestowed by the Ministry of Hotels & Tourism on 30th September, 2015 on the occasion of the World Tourism Day Ceremony in Napyitaw, Myanmar. The award criteria was based on the classification of FDI (Foreign Direct Investment) hotels in Myanmar as per their star rating, trip advisor ranking, occupancy % of the year, spending points on CSR program as% revenue and PWDs as % of PER M employees in the hotel. 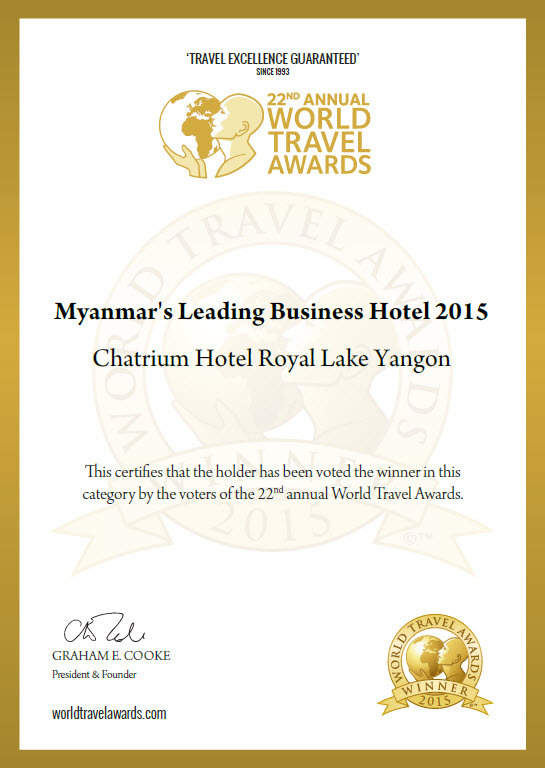 Furthermore, on October 29th, Chatrium Hotel Royal Lake Yangon received a World Travel Award, 2015 as Myanmar’s Leading Business Hotel, 2015 and Myanmar’s Leading Hotel Suite 2015 on the occasion of the 22nd Annual World Travel Awards. World Travel Awards is the world’s largest travel excellence guarantee award and is a traveler’s choice award determined by online votes around the world. Chatrium Hotel Royal Lake Yangon has been awarded the World Travel Award as Myanmar’s Leading Hotel for four consecutive years from 2004 to 2007. 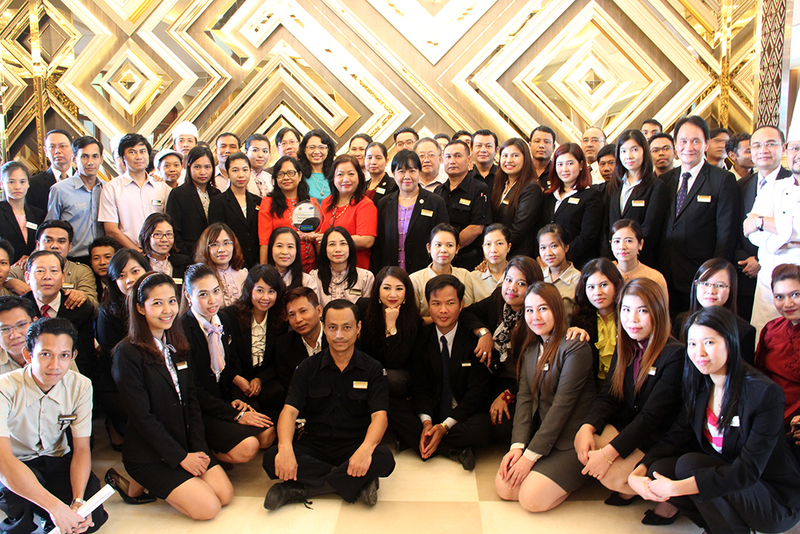 The hotel has also been nominated as Myanmar’s Leading Business Hotel from 2012 to 2015. 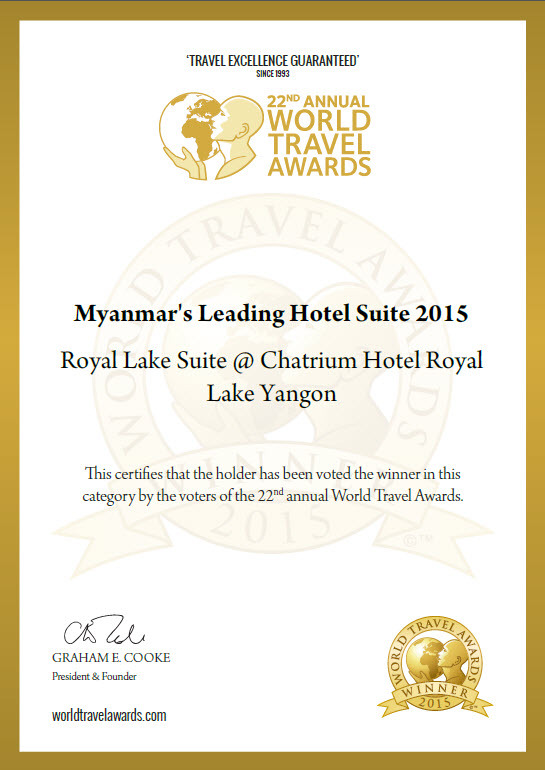 Additionally, The Royal Lake Suite was nominated as Myanmar’s Leading Hotel Suite in 2014 and won the award in 2015. http://www.worldtravelawards.com/profile-1832-chatrium-hotel-royal-lake-yangon. In early 2015, Chatrium Hotel Royal Lake Yangon was awarded two titles from the world’s largest travel site, TripAdvisor for 2015, including: TripAdvisor 2015 Travelers’ Choice Awards “Top 10 Hotels – Myanmar” TripAdvisor 2015 Travelers’ Choice Awards “Top 10 Luxury Hotels – Myanmar”. About Chatrium Hotels and Residences: Chatrium Hotels & Residences is born from a passion to provide uncompromising, warm service and a truly captivating experience. Discover 5-star services with a charming personal touch at properties located with comfort, convenience and stunning surroundings in mind. Fro m cosmopolitan city center living in Bangkok, to the relaxing beauty of Royal Lake in Yangon, whether on business or leisure, long stay or short; you are right where you want to be. The newly launched Maitria Hotel Sukhumvit 18 is under our new A Chatrium Collection hotel brand featuring trendy hotels in deluxe destinations that are tailored to the smart and independent traveller. Join us today and Live the Remarkable.